Wishes her ex would forget about her. Ready to be out of the spotlight. Wants to raise his son in peace. But life has other plans for this algebra teacher and new head coach of Oaktown High School. Sparks fly when Carly Owens and Gage Wilson meet on their first day of work. 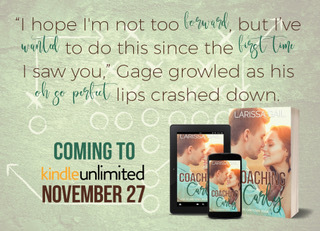 While in awe that the recently retired football star is interested in her, Carly can’t help but be reminded of all the beautiful women seen on his arm throughout his former career. She doesn’t want to get tangled up in another relationship full of lies and cheating. Plus, Carly needs to find a way to deal with her ex-husband and all his threats before she falls in love, again. Gage wants nothing more than to sweep the lovely new algebra teacher off her feet and settle into a comfortable life raising his teenage son. However, Carly’s concern that Gage’s celebrity status will expose her to her ex quickly puts a damper on their budding romance. With Carly’s doubts and the threat of Carly’s ex-husband looming over them, will Gage be able to coach her past her fears? 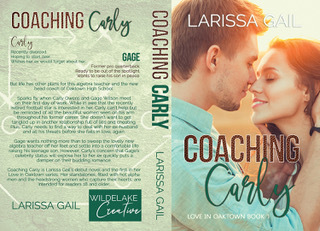 Coaching Carly is Larissa Gail’s debut novel and the first in her Love in Oaktown series. Her books are filled with hot alpha men and the headstrong women who capture their hearts and are intended for readers 18 and older. 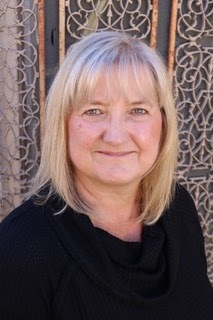 Larissa Gail writes contemporary romance with a hint of suspense. Recently retired teacher, mother of two grown children and their spouses, and soon to be grandmother, she lives in West Texas with her husband and one very spoiled Gordan Setter. 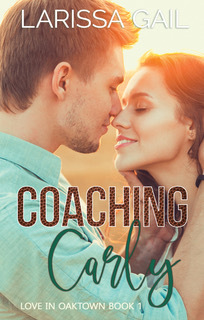 When not writing about hot alpha men and the women who capture their hearts — or even when she is — you can find Larissa and her husband traveling in their camper exploring the great outdoors.